Apple wants to have more control over its products . It already manufactures the processors of the iPhone and iPad (series A), and it is expected that in the future it will do the same with those of the Macs to stop relying on Intel, in addition to mobile modems . But he does not think about stopping there, since he also wants to improve on his weak points. 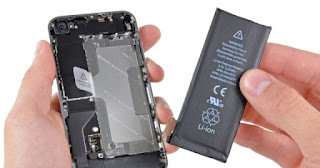 The battery of the iPhone is one of its most criticized aspects . While smartphones of the competition integrate units with gigantic capacities, those of Cupertino are not able to overcome the day and a half without recharging. That is why it is one of the pending subjects of the company that could be solved soon with his latest signing. Apple has hired one of those responsible for Samsung batteries. Soonho Ahn was an executive of Samsung SDI Co , the affiliate of Samsung Electronics Co. that is dedicated to research and manufacture the batteries, but which has left the South Korean company to join Apple. He did it in December as the global head of development of this component. According to his profile on the LinkedIn social network, he led the development of lithium batteries and worked on the next generation of battery technology. According to Bloomberg , Apple used Samsung batteries in their mobile devices for a long time , but we already know that those in Cupertino do not like to depend on third-party manufacturers. In addition, it is known that the company has been holding talks to buy cobalt, an important and fundamental material in the development of batteries. It is very unlikely that they will advance enough in these months for the batteries of the next iPhone of 2019 to be very different. But maybe for the 2020 , year in which all Apple smartphones will have OLED screen , there are significant changes.